Wading in the reservoir… | Pulp and Circumstance, Juiced. For some reason of late, humble blogger has been on an Interpol kick; and when an Interpol kick occurs, so too, does all musical experience related to Interpol. 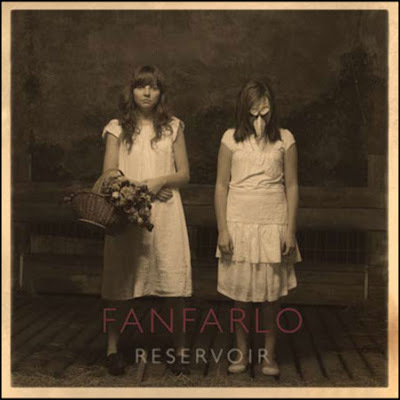 Enter Fanfarlo, a Swedish band which makes use of interesting instruments as well as traditional drum and bass, to create uniquely lush soundscapes. But why mention Interpol, then? Well, the debut record, Reservoir, released circa February 2009, was in fact produced by a one Pater Katsis, who has worked with Interpol, oh, and The National. The delicious indie pop is the brainchild of Simon Balthazar, who has claimed influences from Belle & Sebastian to Broken Social Scene, Pavement, and Neutral Milk Hotel. Perfect background accompaniment for a rain-soaked Boston day, it’s meandering and intriguing pop will get you through today. It’s our soundtrack in work, for sure, as I type. This entry was posted in jwolf and tagged fanfarlo. Bookmark the permalink.